Acne is a continually recurring problem for many. The pain of going through an acne breakout feels like a lifetime of anguish. The three essential factors contributing to acne are the irregular shedding of dead skin, overproduction of oil by the skin’s sebaceous glands and a buildup of bacteria. But before you lose hope of having clear skin, let us tell you something about hydrogen peroxide. It is believed to be the world’s safest and all-natural sanitizer and can prove to be a “miracle cure” for all your acne problems. 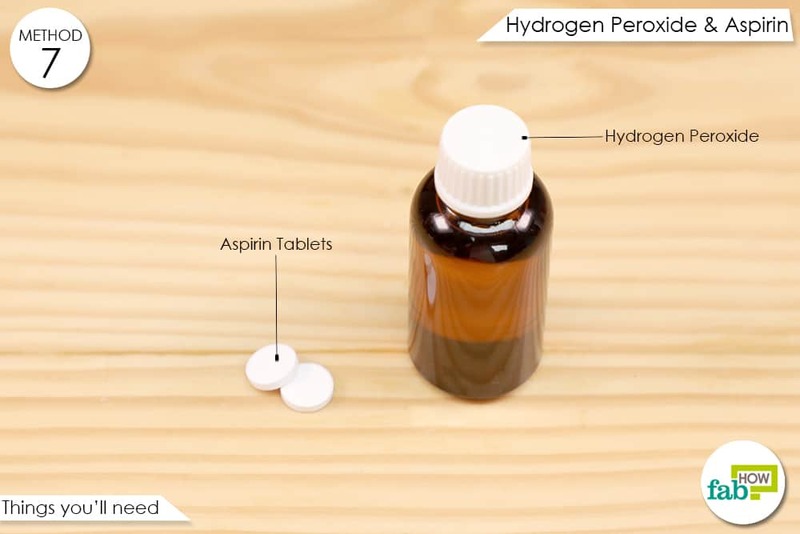 Hydrogen peroxide is a germicidal agent and a combination of hydrogen and oxygen that oxidizes the surface or environment it comes in contact with. When applied to acne, hydrogen peroxide oxidizes it, killing the bacteria and clearing up the infection. Eliminating the bacteria is the first step toward acne healing. 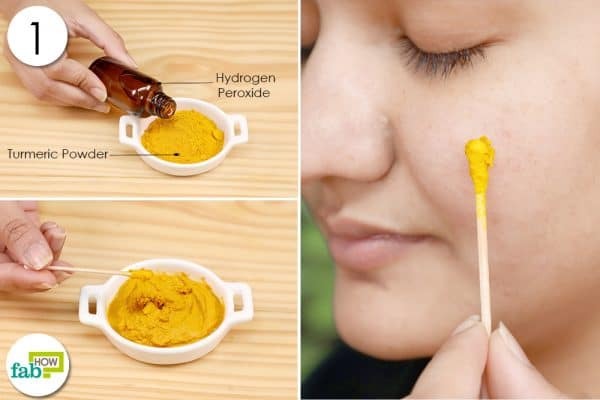 Instead of concealing or caking makeup on your acne, we suggest you use these home remedies that will not only get rid of your acne breakout and scars but also nip it in the bud for the long haul. Here, we give you eight safe and easy methods to use hydrogen peroxide for acne. Always wash your face and pat it dry before applying any of these remedies. Caution: Use only 3% hydrogen peroxide and no higher concentration than that. Hydrogen peroxide may dry out the sensitive skin too much. If you have sensitive and dry skin, use the treatment sparingly. 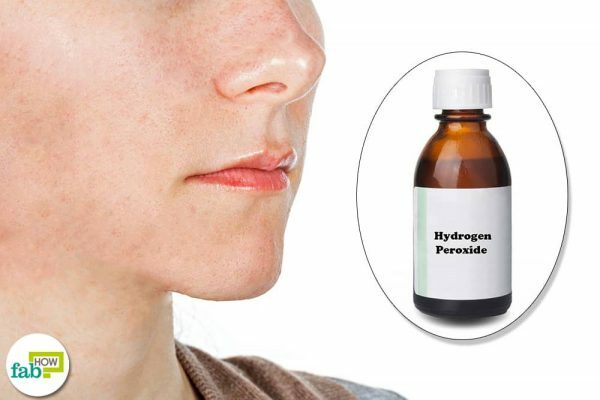 Applying hydrogen peroxide directly on the acne can help improve severe or sudden flare-ups. It is an antimicrobial agent and promotes quick healing. It works by cleaning away the dead tissue and fighting or preventing a bacterial infection in the pores, a common cause of acne. 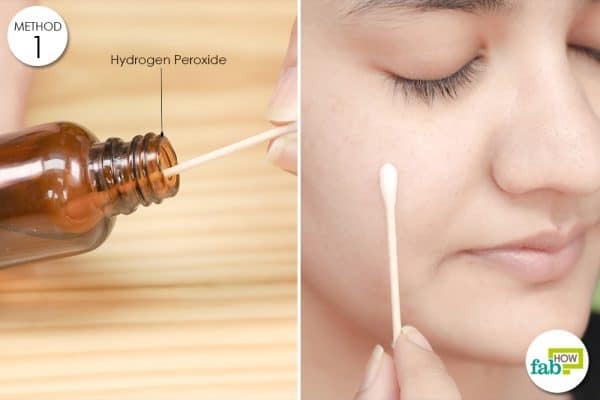 Dip a cotton swab in 3% hydrogen peroxide and apply it directly on the acne. Leave it on for 5 minutes, then rinse it off with normal water. Apply a non-comedogenic face moisturizer. Do this 1 or 2 times a week until the acne is gone. 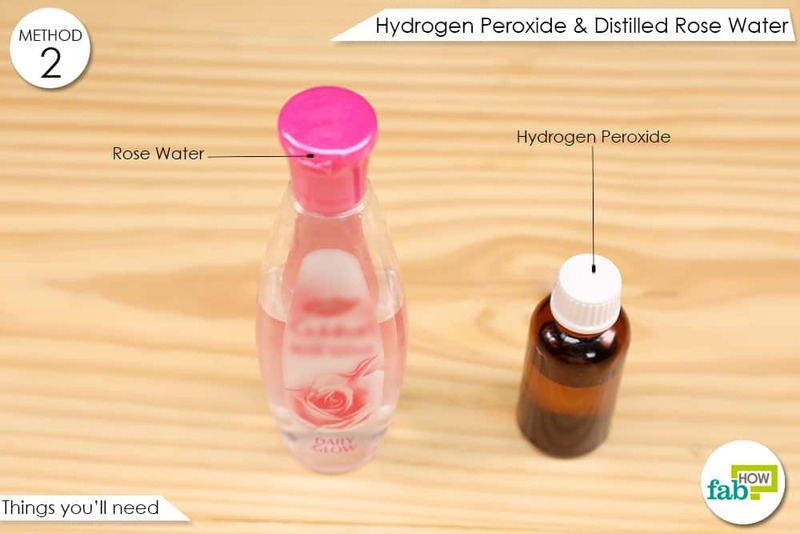 Hydrogen peroxide has antibacterial properties that prevent bacterial proliferation. Rose water has anti-inflammatory, emollient, antibacterial, cleansing and toning properties. The anti-inflammatory property of rose water soothes the irritated skin and reduces the inflammation. Its emollient property prevents the skin from drying out too much. The antibacterial, cleansing and toning properties help get rid of the bacteria, and clean and tighten the skin pores. Mix 1 teaspoon each of 3% hydrogen peroxide and distilled rose water in a bowl. 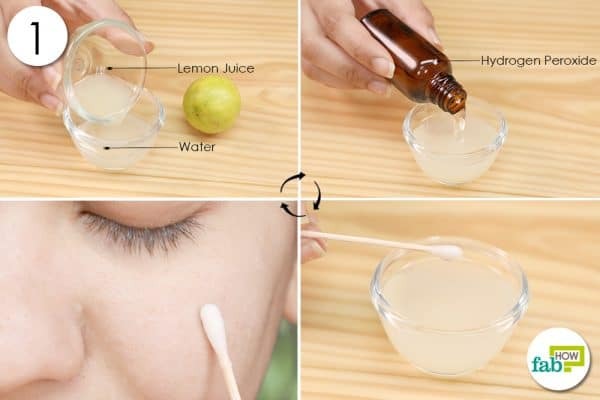 Use a cotton swab to apply the solution on the acne. Leave it on for 15 to 20 minutes, then rinse it off with normal water. 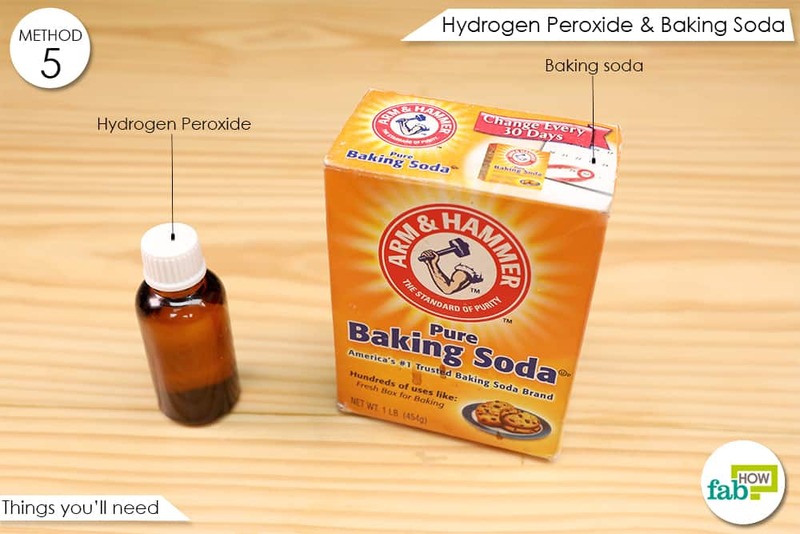 Hydrogen peroxide acts as a disinfectant by cleansing your skin of the infection-causing bacteria. Lemon juice is rich in vitamin C that helps clear up the redness and inflammation of the skin. The acids in lemon juice have mild astringent qualities that help get rid of excess oil produced by your skin’s oil glands. Plus, lemon juice is a natural bleaching agent that helps reduce hyperpigmentation, dark spots and scars left behind by acne, thereby lightening and brightening the skin. Dilute 1 teaspoon of lemon juice in 2 teaspoons of water. Add 1 teaspoon of 3% hydrogen peroxide to it. Use a cotton swab to apply the mixture on the acne. Leave it on for 5 minutes, then rinse off your face with normal water and pat it dry. Do this once a week to get rid of acne quickly and naturally. 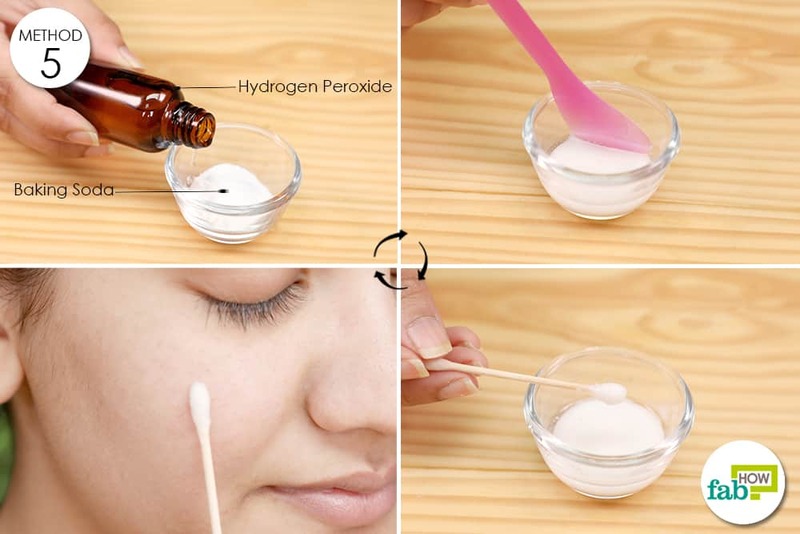 In addition to being an oxidizing agent, hydrogen peroxide is a bleaching agent that not only inhibits the proliferation of microbes but also lightens acne scars. Tea tree oil is known for its antibacterial, antifungal and anti-inflammatory properties. Some say this therapeutic oil is surpassing modern medicine in curing skin infections like psoriasis, eczema, and acne. Applying tea tree oil on acne helps kill the infection-causing bacteria and reduces the inflammation of the skin. 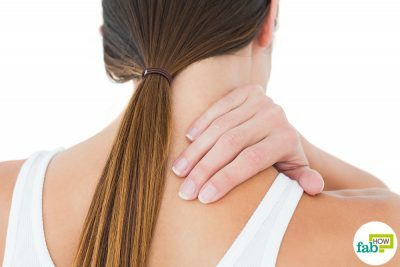 Caution: Do not use undiluted tea tree oil directly on the skin. Mix together 1 teaspoon of 3% hydrogen peroxide and 7 to 10 drops of tea tree oil. Apply the solution on your acne using a q-tip. Leave it on for 5 to 10 minutes, then rinse it off with cold water and pat dry your skin. Do this 1 or 2 times a week to get rid of acne. 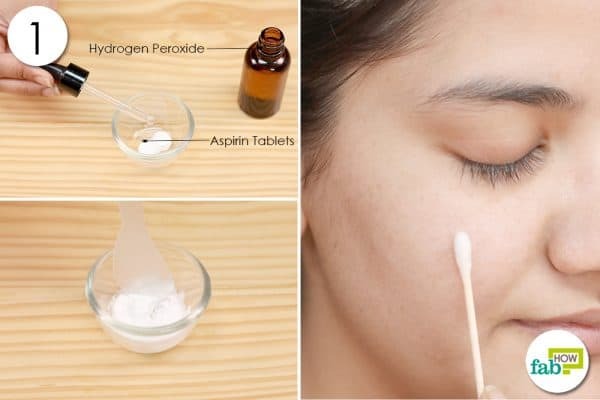 Hydrogen peroxide is antiseptic in nature and oxidizes when it comes in contact with baking soda, which counteracts the acidic environment of the acne and eventually cures it. Baking soda, or sodium bicarbonate, is an alkaline substance that neutralizes the acid in the acne, making it difficult for the bacteria to survive. It also has anti-inflammatory properties that help reduce the inflammation and pain associated with acne. Plus, its mildly abrasive property helps to exfoliate your skin to remove all the dead skin cells. Mix 1 teaspoon each of baking soda and 3% hydrogen peroxide in a bowl. Dip a cotton swab in the solution and apply it on the acne. Leave it on for 1 to 2 minutes, then rinse it off with cold water. Pat dry your skin using a towel and apply a moisturizer. Do this once a week to get rid of acne and lighten acne scars. Hydrogen peroxide repairs the skin and prevents scar marks. Aloe vera is used to treat various skin problems including acne and hyperpigmentation. It has antibacterial, anti-inflammatory and antiseptic properties that help fight the acne-causing bacteria, soothe the irritated skin and promote quick healing. It curbs overproduction of oil by the skin and acts as a natural astringent by tightening the skin pores, which prevents clogging of the pores. It is also a natural moisturizer and helps keep the skin hydrated. 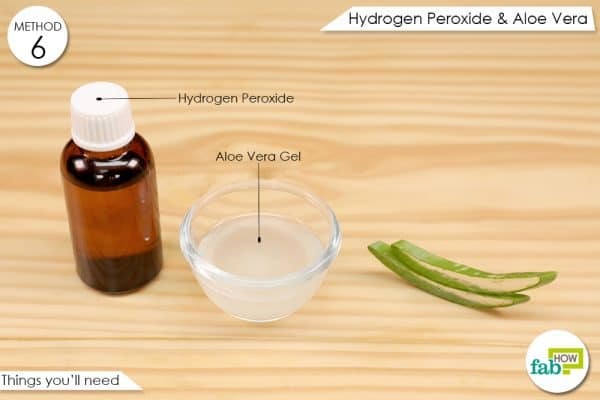 Mix 2 teaspoons of 3% hydrogen peroxide and 1 tablespoon of aloe vera gel in a bowl. 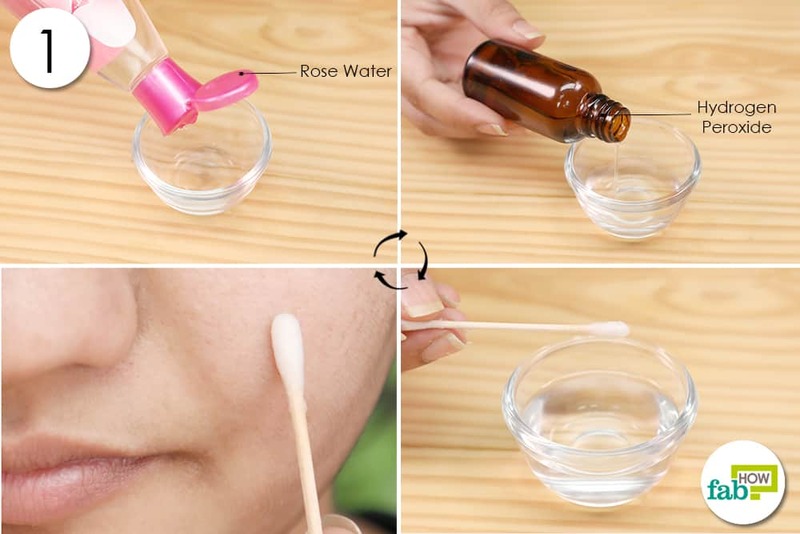 Soak a cotton swab in the mixture and apply it on the acne. Leave it on for 5 minutes, then rinse it off with cold water and pat your skin dry. 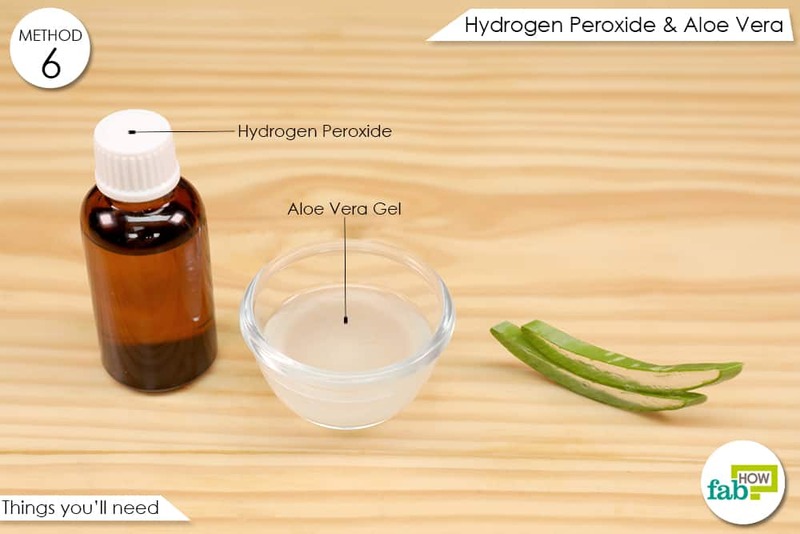 Before going to bed, apply a thin layer of just aloe vera gel on your skin. Leave the aloe vera gel on overnight and rinse it off in the morning. Do this 1 or 2 times a week. Aspirin is an effective agent for curing acne, as it contains salicylic acid that is a common ingredient in a lot of acne creams. It is anti-inflammatory in nature and expedites the healing process. 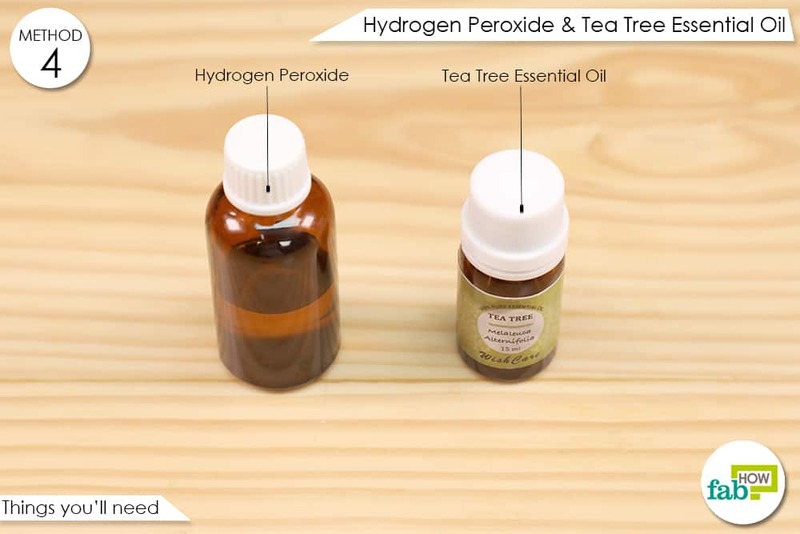 Together with hydrogen peroxide, it helps kill the acne-causing bacteria, reduce the inflammation and pain, and heal the acne without leaving any trace of it on the skin. Put 2 aspirin tablets in a mixing bowl and pour in enough 3% hydrogen peroxide to make a paste. Apply the mixture on the acne using a cotton swab. Leave it on for 5 minutes, then rinse your face with cold water and pat dry your skin. Moisturize your face using a non-comedogenic cream. Use this remedy once a week to get rid of acne. 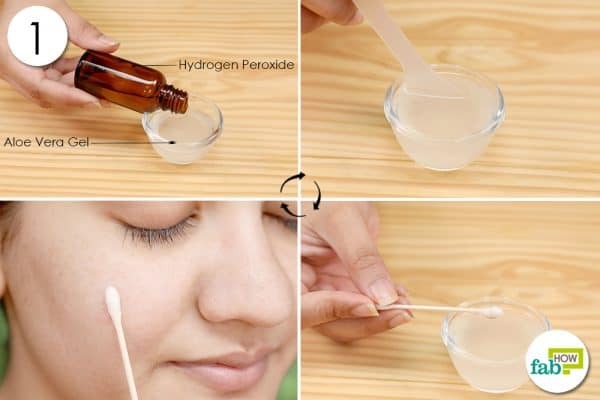 Hydrogen peroxide is a great peeling agent that removes the outer layer of the skin, serving as a chemical exfoliator to reveal a new layer of soft and healthy skin. It is also a drying agent that combats the excess oil secreted by the glands in your skin. This prevents acne from coming back again. 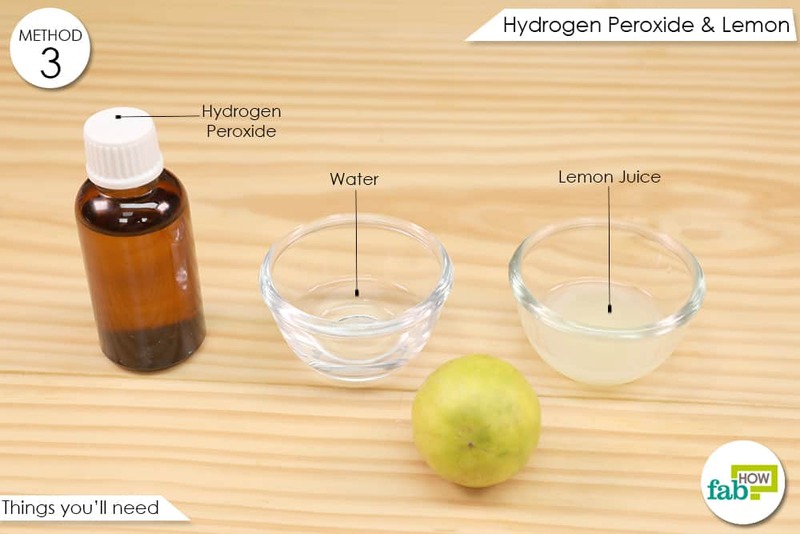 This is one of the best and easy methods to use hydrogen peroxide for acne. Turmeric contains an antiseptic and antimicrobial agent called curcumin that helps kill the bacteria. It also possesses anti-inflammatory properties that help calm and soothe the irritated skin. Plus, it improves the complexion and removes acne scars, hyperpigmentation, and dark spots. Mix 1 teaspoon of turmeric powder with enough 3% hydrogen peroxide to make a paste. Using a cotton swab, apply the paste on your acne and leave it on for about 5 minutes. Rinse your face with cold water and pat it dry with a towel. Do this once a week to get rid of acne. 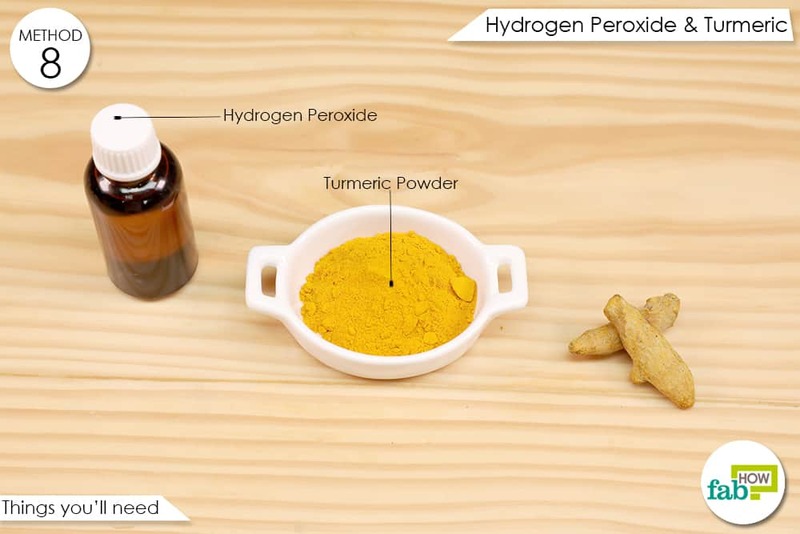 You can replace turmeric powder with fuller’s earth or clay. 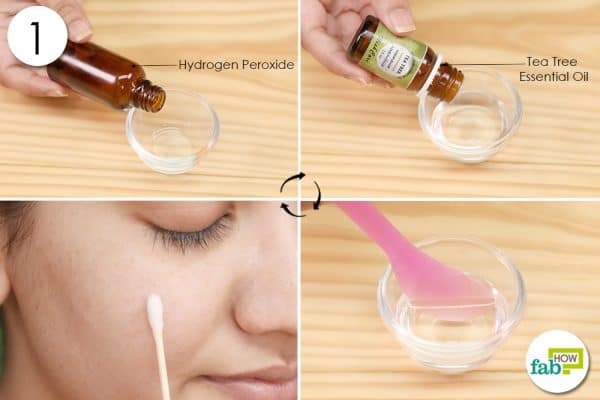 Do a patch test on your skin before using a hydrogen peroxide remedy for treating acne. Do not use a remedy that has any ingredient to which you are allergic. Do not use undiluted essential oil directly on the skin.